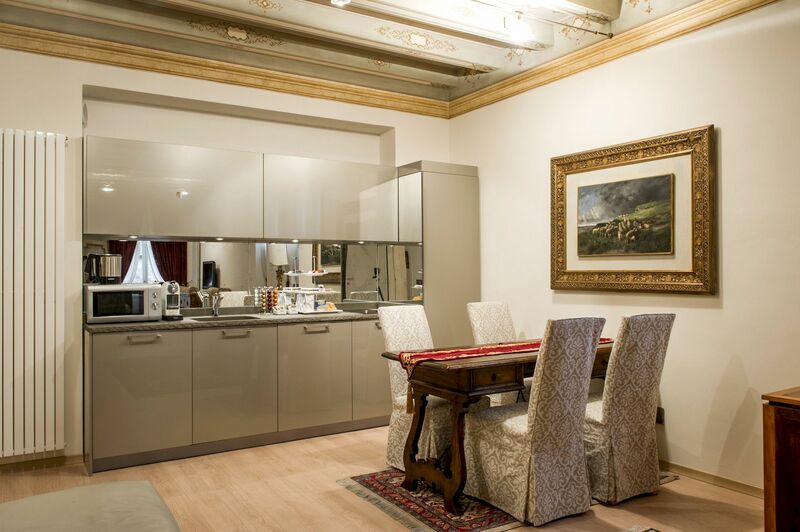 Our guests have the unique privilege of staying in Verona in luxury suites facing the Corte di Giulietta. 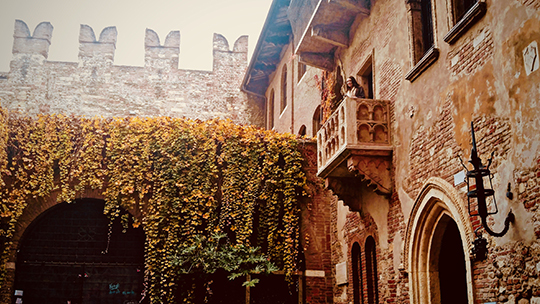 The entrance is in the very Courtyard of Juliet House, the site of the famous Statue and notorious Balcony. 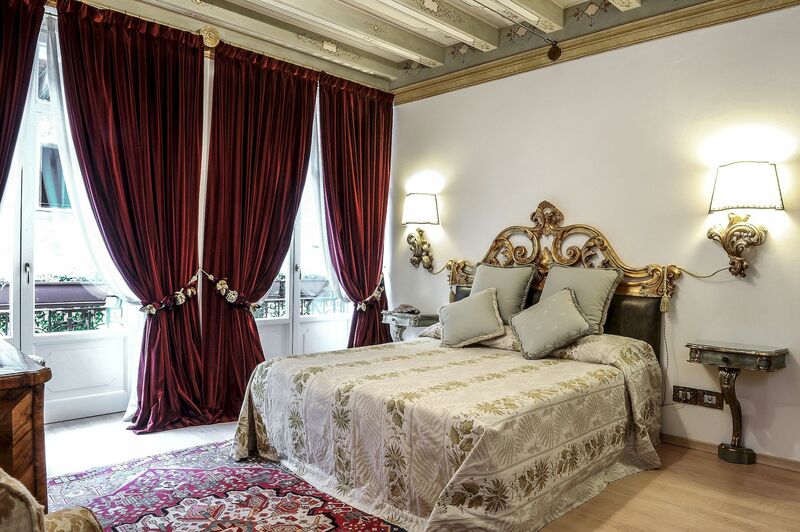 The charming suites of La Corte di Giulietta feature an evocative and private setting, surrounded by a dreamlike atmosphere, upscale classic furnishings, a sprinkle of designer's touch and the best in comfort. 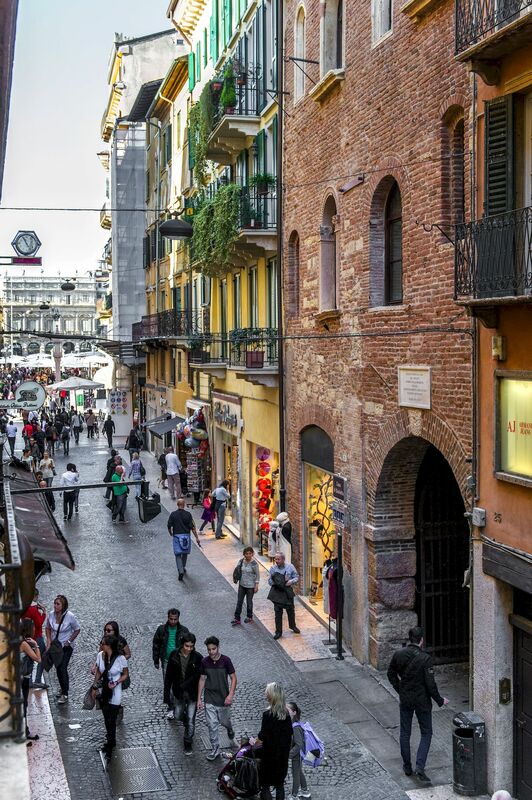 Enjoy an ageless vacation while staying in luxury suites that will put you in touch with art, culture, good wine and the irresistible appeal of Verona and its surroundings. 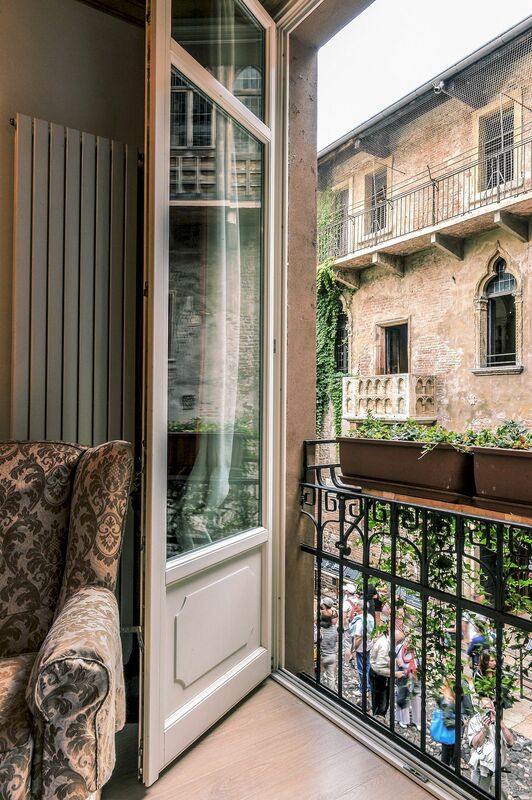 Splendid suite measuring 85sqm with windows facing onto Juliet's Courtyard. 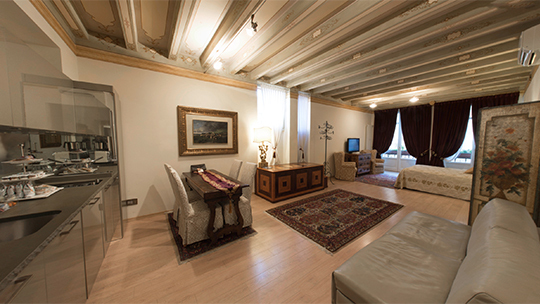 An exclusive suite situated in a truly unique context, with a queen size double bed and comfortable double sofa bed. 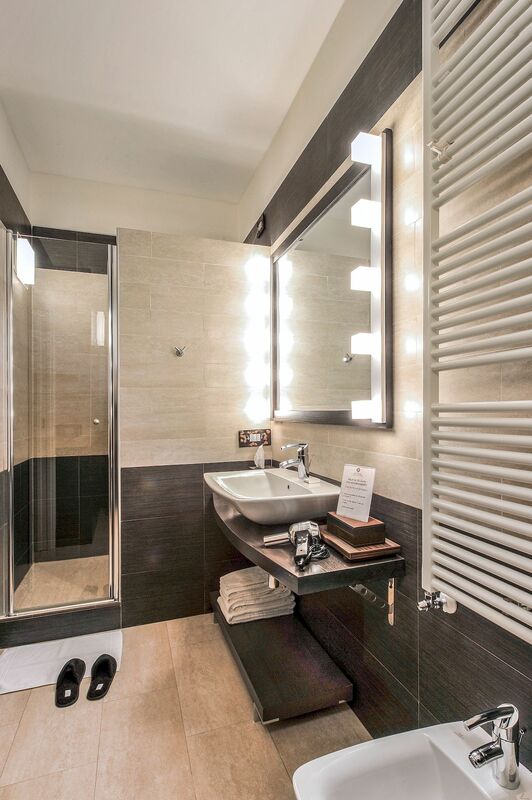 Amenities include LCD tv with SKY programming, free Wi-Fi and bathroom with full services. 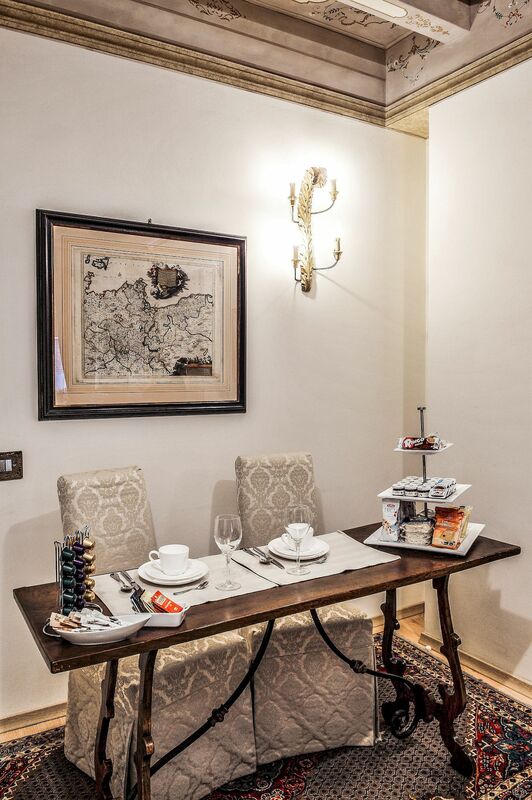 Perfect for 2 or 4 people. 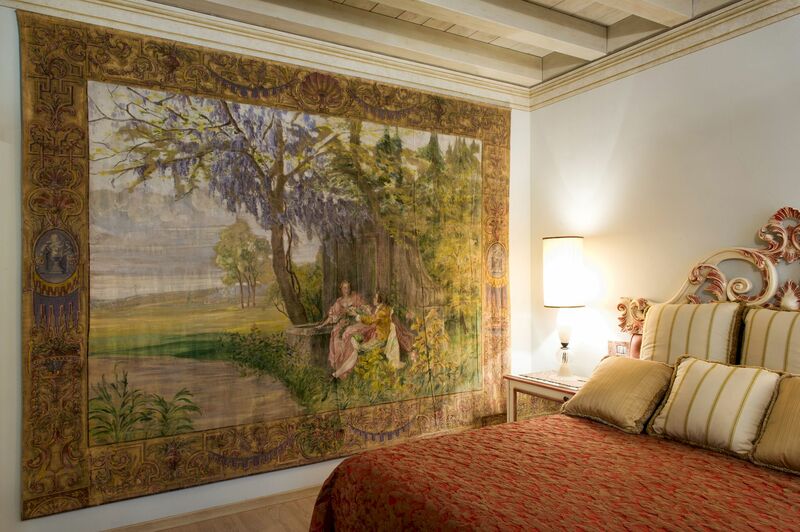 Lavinia Suite communicates with Ginevra Suite. 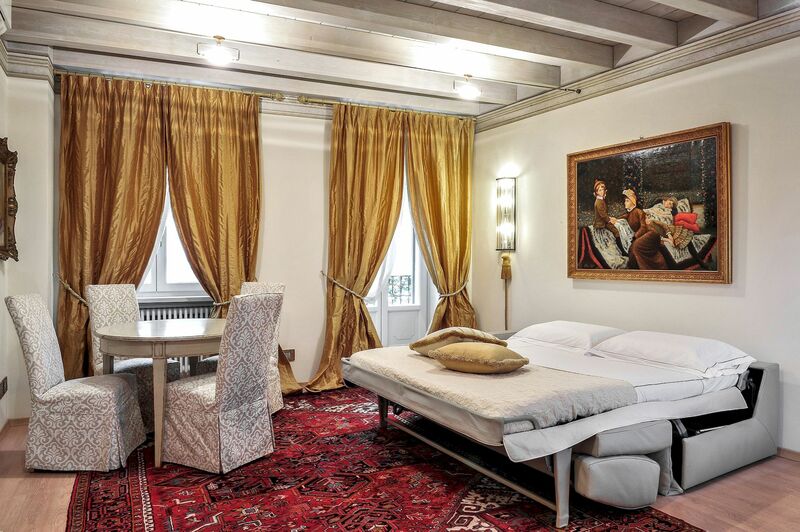 The two suites can be booked together on request. 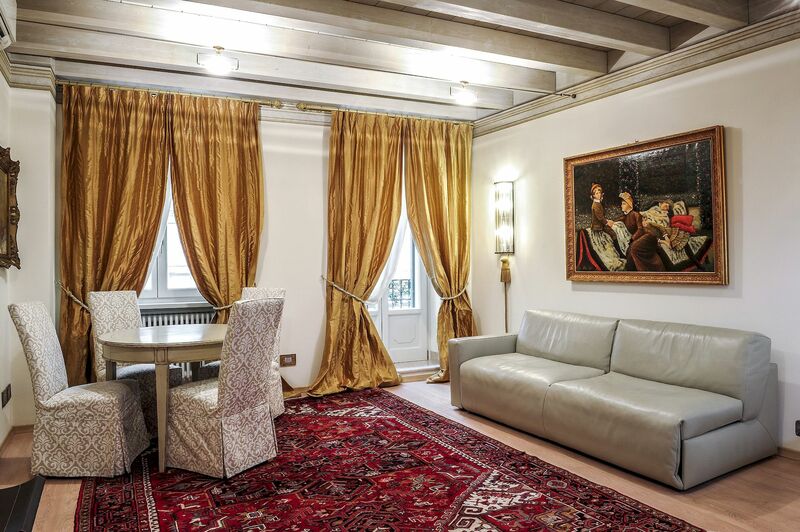 Elegant 55sqm suite facing onto Via Cappello, with a view on Piazza delle Erbe dai due balconi. 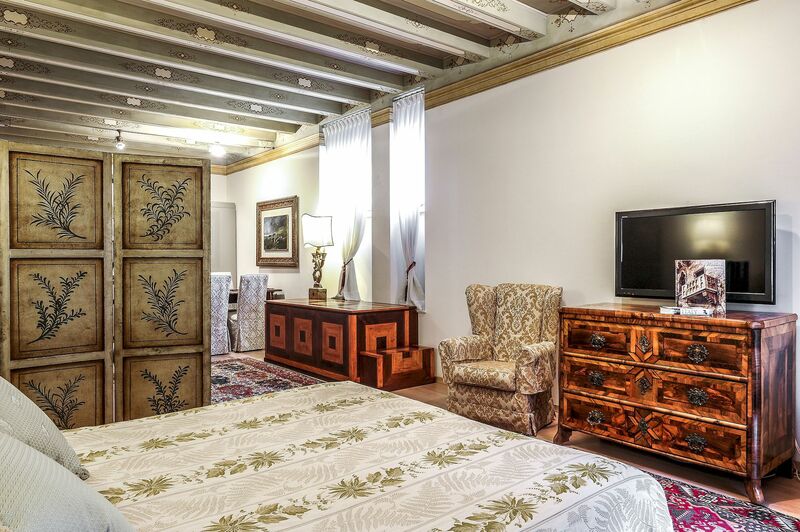 Features a living room with a comfortable sofa bed, double bedroom with a queen size, and a bathroom with full services. 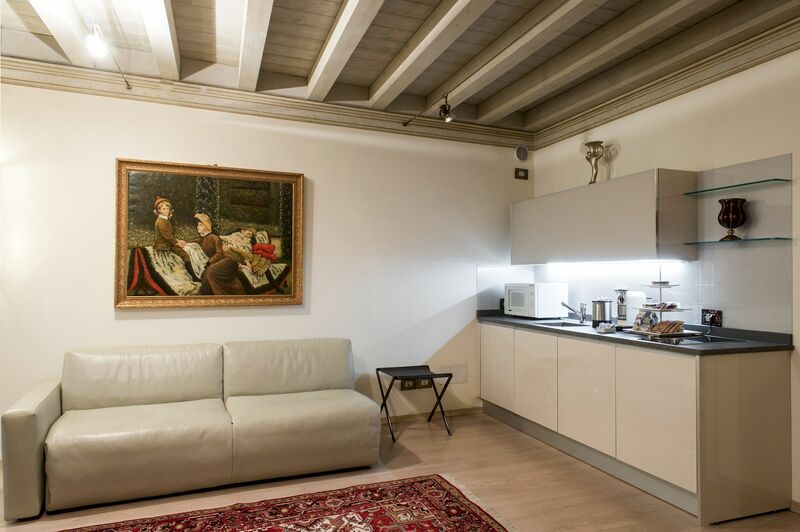 Modern spaces with a warm atmosphere, succesfully combining design and vintage furnishings. 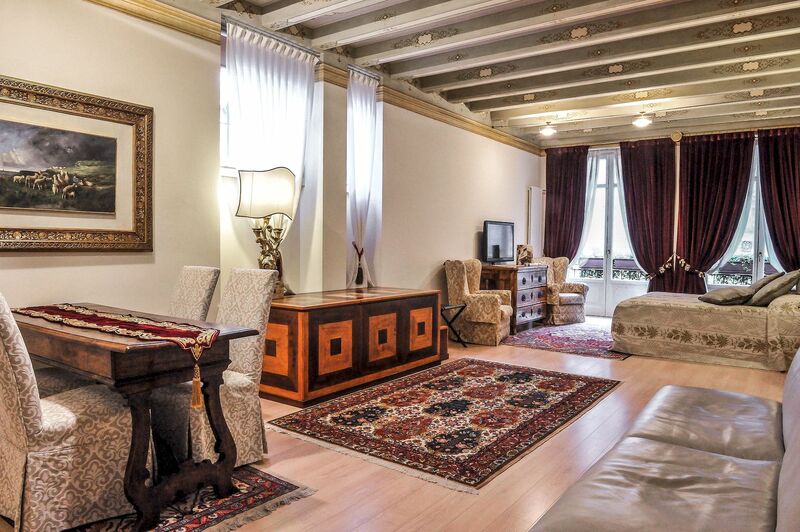 Amenities include LCD TV with SKY programming and free wi-fi. 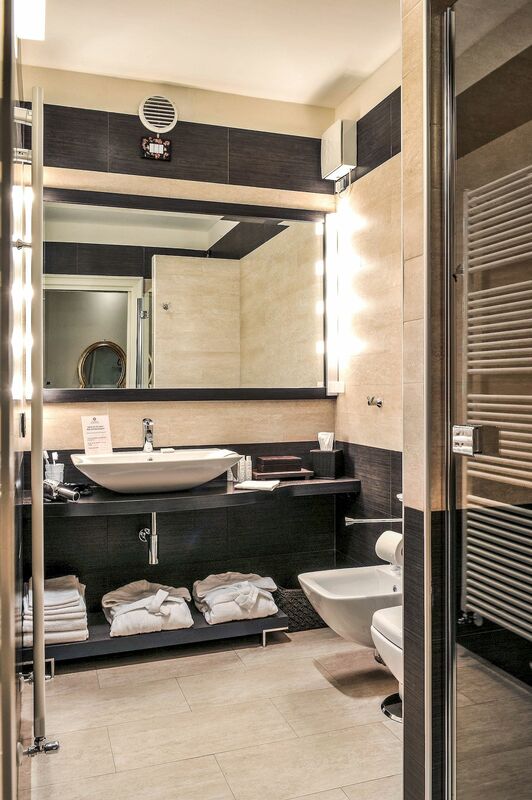 Ideal for 2/4 people. 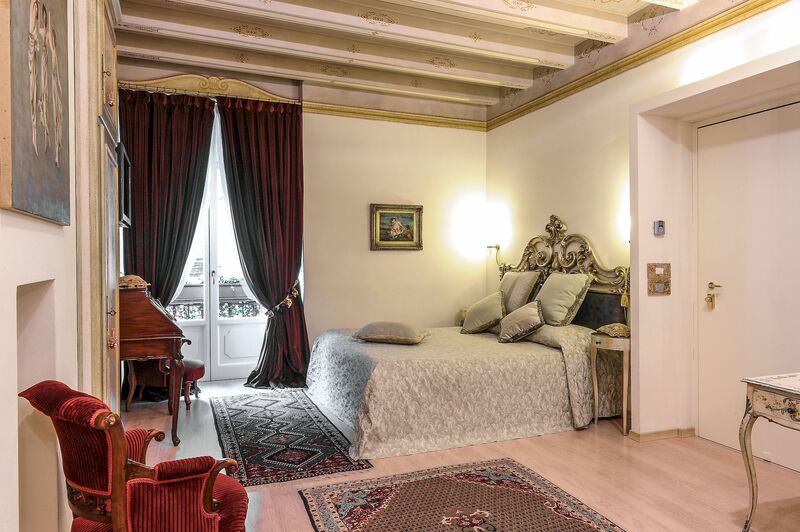 Intimate 35sqm bedroom suite facing onto Juliet's Courtyard. 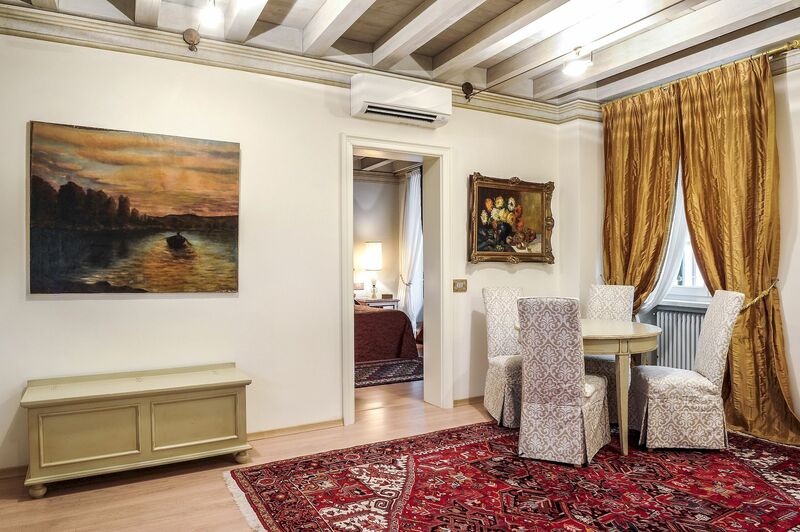 Furnished with maniacal attention to detail, featuring a bathroom with full amenities, free Wi-Fi, LCD TV with SKY programming, vintage furniture, Murano lamps and a Nespresso coffee corner. 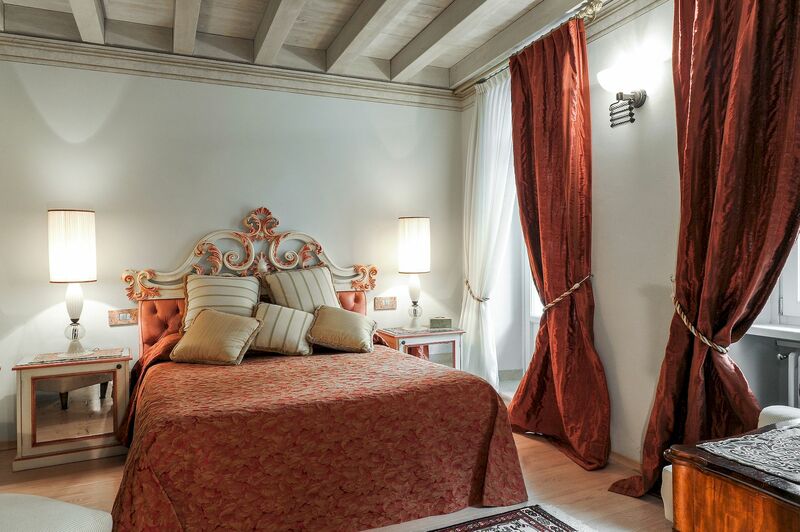 Enveloped in a warm ambiance, ideal for a romantic weekend in Verona. Can be combined with Lavinia Suite. 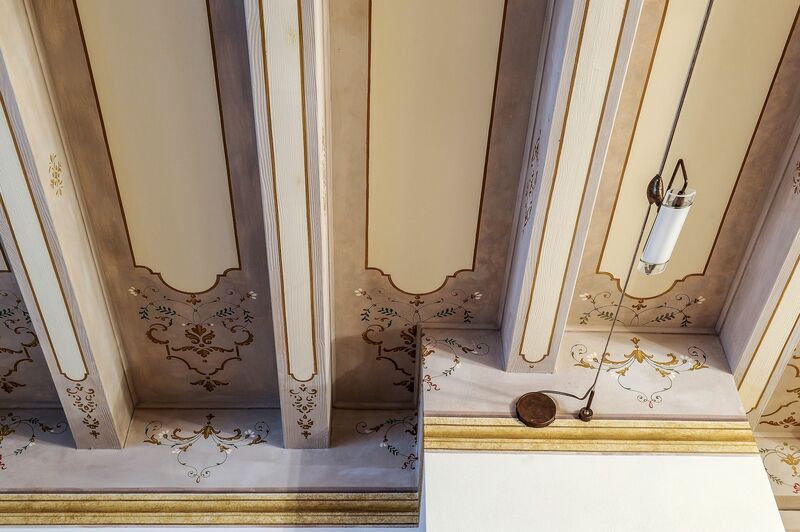 120sqm Suite, can host families or groups, refined furnishings, offers two double beds and a comfortable double sofa bed. 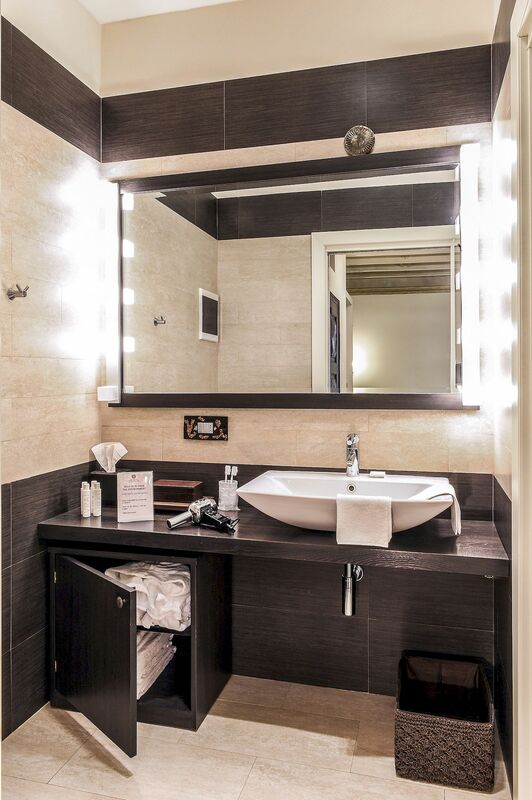 Amenities include LCD TV with SKYprogramming, free Wi-Fi and two independent bathrooms with full services. 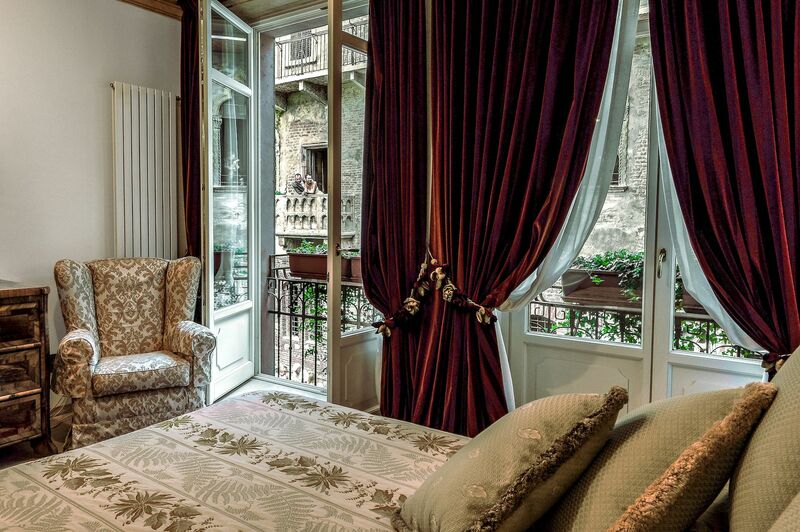 The double beds in the rooms are placed in front of Juliet's Balcony, just like in your most romantic dream. Max 6 people.